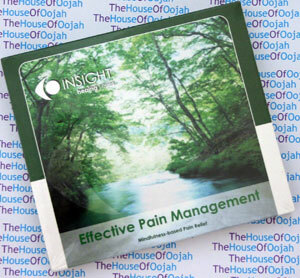 Effective pain management is a life skill that everyone deserves to know. Whether you have existing pain or not, the information and exercises presented here by Ian Gawler, can radically change your relationship with and experience of pain. Based on the work of Dr Ainslie Meares using relaxation, mindfulness meditation and imagery, Ian has helped thousands manage their pain effectively. Learn his techniques with this life-altering audio program. Speaking in a way that balances current medical options with natural methods and self-management possibilities, the choices are clarified, the way through simplified. Then, Ian leads you for two remarkable meditation exercises that have transformed the experiences of pain for many many people. Dr Ian Gawler OAM is one of Australia’s most experienced and respected authorities on mind/body medicine and meditation. Also, Ian is well known as an advocate of self-help techniques and a healthy lifestyle. A long-term cancer survivor, he was diagnosed with bone cancer and his right leg was amputated in 1975. However, the disease recurred later that year. Drawing upon a truly integrated approach, Ian was fortunate to experience a remarkable recovery.Now his story offers hope and inspiration to people across the country and around the world. The self help techniques that he developed have helped many to convert hope into sustained health and peace of mind.A pioneer in mind/body medicine, Dr Gawler is known for his clarity and good humour. With a gift for translating ancient wisdom into a modern context, and having appeared widely in the media, Ian has played a major part in popularising meditation and other mind/body medicine techniques in the western world . What Dr Gawler has to offer is the benefit of his own experience and research, as well as the accumulated experience and wisdom of the many thousands of people he has worked with. Since 1981 when he began to conduct active, solution-based support groups for other people affected by cancer, his work has expanded into a dual role. One aspect is the focus on healing, the other on disease prevention, health and wellbeing. Also, Ian has helped many people in their quest for peace of mind and spiritual fulfilment..Dr Gawler is the author of four bestselling books on self-help techniques and has edited another seven books on mind/body medicine. He has produced a series of tapes and CDs to support his writings. He is the Founder and Therapeutic Director of The Gawler Foundation and conducts groups in Melbourne and residential programs amidst the peace and tranquillity of the Yarra Valley. He also lectures around the world.Ian holds a degree in Veterinary Science and a Masters in Counselling. In 1987 he was awarded the Order of Australia Medal for his services to the community. He is on the Advisory Board for the Australasian Integrative Medical Association and really loves his wife and gardening!